Tissue paper is inexpensive and can be found in lots of vibrant colours. 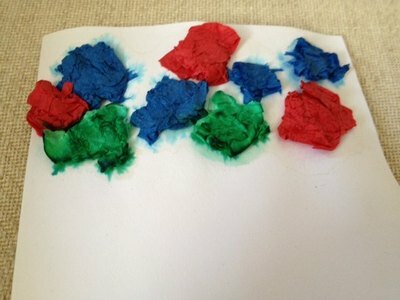 Once wet, the colour leaks easily from the tissue paper and can be used to make some interesting art. Pre schoolers will have fun scrunching and slightly older children can turn their artwork into other interesting pictures. Brush a little water over your card to dampen it. 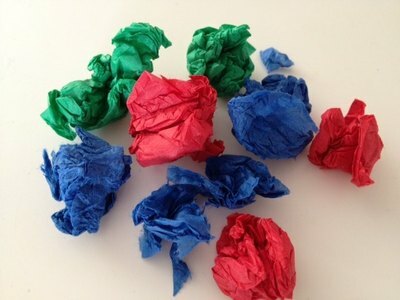 Scrunch up the tissue paper into loose balls. 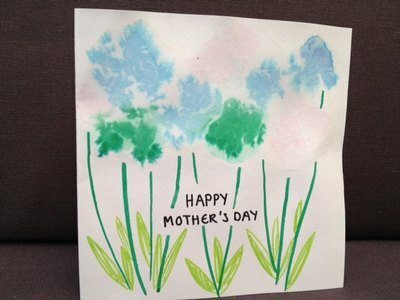 Press the scrunched up tissue paper onto the top third of the card. Wet the tissue paper with the big paintbrush until it has been well soaked. This will allow the dye to leak out. 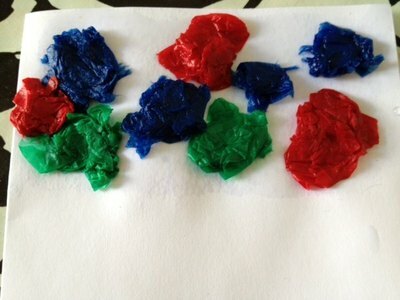 Once dry, peel off the tissue paper to reveal the coloured pattern left behind. Use a green felt tip pen, crayon or pencil to draw the flower stalks and leaves. Younger children can just scrunch the tissue paper and cover a piece of card or paper. The scrunching is lots of fun. What a lovely idea, for Mother's Day, or a mother or grand-mother's birthday as well. My kids and I made two of these to send to grandmas for mother's day. Really easy to do and looked great!